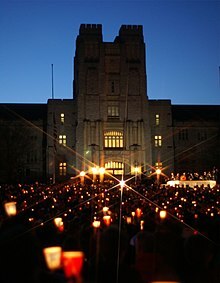 Virginia Tech shooting, also known as the Virginia Tech massacre, occurred on April 16, 2007, when Seung-hui Cho, a South Korean college student, shot and killed 32 people at Virginia Tech before killing himself. It is the deadliest massacre at an American university to have been perpetrated by a single person. There is no question that Jared Lee Loughner created more carnage in January 2011 because he brought a newly purchased Glock19 to a political gathering in a shopping mall in suburban Tucson, Arizona. On a sunny Saturday morning, Loughner, a deranged twenty-two-year-old, opened fire at a constituent meet-and-greet hosted in front of a Safeway supermarket by his congresswoman, Gabrielle Giffords. In just minutes, the gunman sprayed thirty-three rounds, killing six people and wounding thirteen others, including Giffords, who suffered severe brain damage from a point-blank shot that passed through her head. Among the dead were a federal judge and a nine-year-old girl who served on her elementary school student council and wanted to shake hands with the vivacious politician. Loughner used a special oversized magazine, making it possible for him to do much more damage in a matter of minutes than he otherwise might have. He did not stop firing until he had to pause to reload and attendees at the event tackled him. It will be very instructive to Koreans to watch the reaction of Americans [to the Virginia Tech shooting]. They know it's more gracious than their own reaction would be. It's impossible to make sense of such violence and suffering. Those whose lives were taken did nothing to deserve their fate. They were simply in the wrong place at the wrong time. Now they're gone; and they leave behind grieving families, and grieving classmates, and a grieving nation. George W. Bush, statement on the massacre at Virginia Tech University from the Diplomatic Room of the White House (17 April 2007), Washington, D.C.
As a South Korean, I can't help feeling apologetic about how a Korean man caused such a shocking incident. You have never felt a single ounce of pain your whole life. Did you want to inject as much misery in our lives as you can just because you can? You had everything you wanted. Your Mercedes wasn’t enough, you brats. Your golden necklaces weren’t enough, you snobs. Your trust fund wasn’t enough. Your vodka and cognac weren’t enough. All your debaucheries weren’t enough. Those weren’t enough to fulfill your hedonistic needs. You had everything. He appeared to be overwhelmed by wealthy, white students, who made up 75% of the undergraduate student body. American society, composed of diverse races and ethnicities, has a lot of tolerance of different kinds of people and can embrace them all as Americans. Korean society, however, is composed of a single ethnicity. It is more intolerant to people of different ethnicity and skin colors. Koreans have a strong bond to people of Korean ethnic origin even when, as in the case of the gunman, a large proportion of their upbringing took place in a different culture. That's why there is widespread mourning and collective guilt over the gunman's behavior and its consequences. It's doubtful whether the South Korean reaction will really help anyone... In its guilt-laden reaction to the Virginia Tech massacre South Korea may be muddling America's healing process. The American reaction is that the crime was committed by a single isolated individual who happened to be South Korean, and that it's not South Korea that committed the crime. But South Korea doesn't seem to make a distinction in this sense... Koreans are in shock and concerned that this incident will have a negative impact on South Korea's well-built reputation and the future treatment of all Koreans... But it's solely Korea's perspective, and it's an over-reaction. Loughner was allegedly able to fire at least 20 rounds from his 33-round clip, according to [Paul] Helmke [president of the Brady Campaign to Prevent Gun Violence]. Kim, Susanna (January 11, 2011). "Glock 19: How did Unemployed Jared Loughner Buy Popular, Expensive Pistol?". ABC News. As you all know 33 people lost their lives today, this morning. Most of them were of the age of many of the young people in this audience, they were going to class, they had their lives in front of them, their parents were proud of them and looking forward to having them home for summer or visiting them on campus and their lives were cut short in a tragic and random fashion. And so it makes all of hearts ache, particularly those of us who are parents. I have an eight-year-old daughter Maila and a five-year-old daughter Sasha and they describe all that I hold dear in the world and so when I hear stories like this I think from the perspective of a parent and I try to imagine what that must be like - not even just the parents of those that were killed or wounded but a parent who knows their child is there and is uncertain as to whether they were in that class or participated in one of the venues that was struck. And it makes us think about violence in this society. That was written in 1968, almost 40 years ago. What's striking obviously is that when you read that passage you have a sense that in a lot of ways we haven't made much progress. That this society is still riven by violence, that we continue to be degraded by murders and crime and all manner of abuse perpetrated on our children and Bobby Kennedy is right: we tolerate it. Obviously what happened today was the act of a madman at some level, and there are gonna be a whole series of explanations or attempts to explain what happened. There is gonna be discussion about how did this person get the firearms that he used. And there are already reports that potentially the semi-automatic weapons he used would have been banned under an assault weapons ban that was allowed to lapse. There'll be discussion about security on college campuses. There will be speculation as to what caused this young man to snap. But I hope that it causes us to reflect a little bit more broadly on the degree to which we do accept violence, in various forms, all the time in our society. We glorify it, we encourage it, we ignore it, and it is heartbreaking and it has to stop. The Lord sent a world-class whopper of a massacre to Virginia Tech, killing thirty-three, drawing headlines like 'Shocked! ', 'Horrified! ', 'The worst massacre in U.S. history!'. Well, we wish you were thirty-three thousand killed, but we are thankful to our Father for thirty-three. President Bush and thousands of others, politicians and preachers, are making speeches and lying in their teeth, all agreeing that they can't explain such tragedies, but they're just certain a loving God had nothing to do with the massacre. They say, evil did it, like Star Wars, some evil force. God is punishing America for the way they have persecuted us.. The Korean people and I were horribly shocked and deeply saddened at the tragic incident two days ago at Virginia Tech in the United States. I pray for the repose of the souls of the victims and express my wholehearted sympathy to the wounded, the bereaved families and the American people. In addition, I hope that Americans will overcome this great sorrow and difficulties and will regain peace of mind as soon as possible. The two handguns used in the Virginia Tech shooting—a 9mm Glock 19 pistol, and a 22 caliber Walther P22 pistol—stand as stark examples of the trend toward increased lethality that defines today’s gun industry. Since the mid-1980s, the gun industry has embraced increased firepower and capacity to resell the shrinking base of gun buyers in America. In the 1980s, a very significant shift in gun design and marketing occurred: high-capacity semiautomatic pistols became the dominant product line. Formerly, the most popular handgun design was the revolver, most often containing six shots. In 1980, semiautomatic pistols accounted for only 32 percent of the 2.3 million handguns produced in America. The majority were revolvers. By 1991 this number had reversed itself with semiautomatic pistols accounting for 74 percent of the 1.8 million handguns produced that year. Violence Policy Center (April 2007). "Backgrounder on Pistols Used in Virginia Tech Shooting". In the last nine years, Glocks have figured prominently in at least five mass shootings. In 2007, Seung-Hui Cho, a senior at Virginia Tech University, used a Glock 19 and Walther P22 to kill 32 people and wound 17 others in two separate attacks on campus. The Glock 19 is a smaller pistol that is easier to conceal. Three years later, Jared Lee Loughner used a Glock 19 to shoot 20 people in Arizona, gravely wounding US Representative Gabrielle Giffords and killing six others, including a nine-year-old girl. In 2013, Pedro Vargas went on a shooting rampage inside his apartment complex in Hialeah, Florida. With his Glock 17, Vargas murdered six people and held two neighbors hostage during an eight-hour stand-off until a SWAT team stormed the building and killed him. On June 17, 2015, Dylann Roof killed nine people with a .45-caliber Glock pistol at a historic black church in Charleston, South Carolina. Two months later, Vester Lee Flanagan II shot and killed a Roanoke, Virginia, television reporter and a cameraman with a Glock 19 during a live news broadcast. Alvarado, Francisco (June 21, 2016). "Glock pistols are the overlooked weapon in American mass shootings". Vice News. "The Glock Pistol: A Favorite of Mass Shooters". Violence Policy Center. November 2018. Investigators said Cho procured one of the guns he used in the rampage, a Walther .22-caliber pistol, Feb. 9 from a pawnshop on Main Street in Blacksburg near the Virginia Tech campus. On March 16, he bought the second gun, a 9mm Glock 19, from Roanoke Firearms, a gun shop on Cove Road in Roanoke. He used his driver's license as identification and had no problem buying the guns because he was complying with Virginia law, which permits the purchase of one gun a month, investigators said. The Glock was used in two shootings, first in a dormitory and then in Norris Hall more than 2 1/2 hours later, officials said. A surveillance tape, which has now been watched by federal agents, shows Cho buying the Glock, sources said. Both guns are semiautomatic, which means that one round is fired for every finger pull. Police revealed other new information yesterday, including that 9mm and .22-caliber guns had been recovered from Norris Hall, the scene of the second round of shootings, and that ballistics tests showed that the 9mm Glock had been used in both incidents. Virginia Tech. Gabby Giffords. Now Aurora, Colo. The names and places are linked by tragedy, death and the Glock semiautomatic handgun. Like other mass shootings, Friday’s attack sparked calls for more gun control. Horwitz, Sari (July 20, 2012). "Glock semiautomatic pistol links recent mass shootings". The Washington Post.